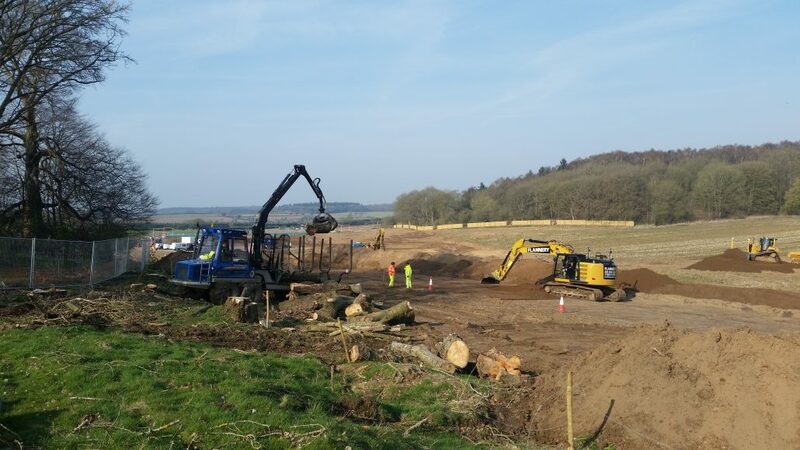 Practicality Brown are working for Balfour Beatty on the Norwich Northern Distributor Road clearing trees to this £104 million road enhancement scheme, under the jurisdiction of Norfolk County Council. 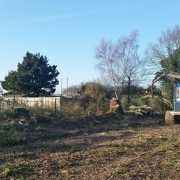 The road will serve Broadland, Norfolk and improve access to North Norfolk and Norwich International Airport, with better links to Great Yarmouth and the south of the region. 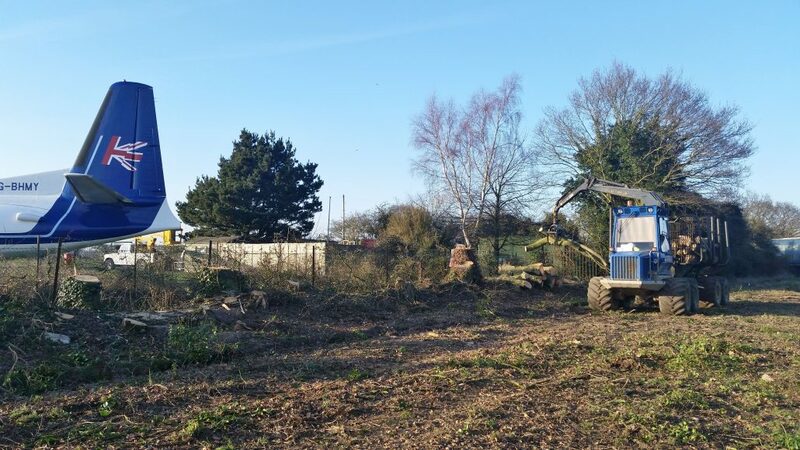 It will also bring relief on congested and unsuitable roads around the north and east of Norwich and improve capacity for future growth in jobs and housing. 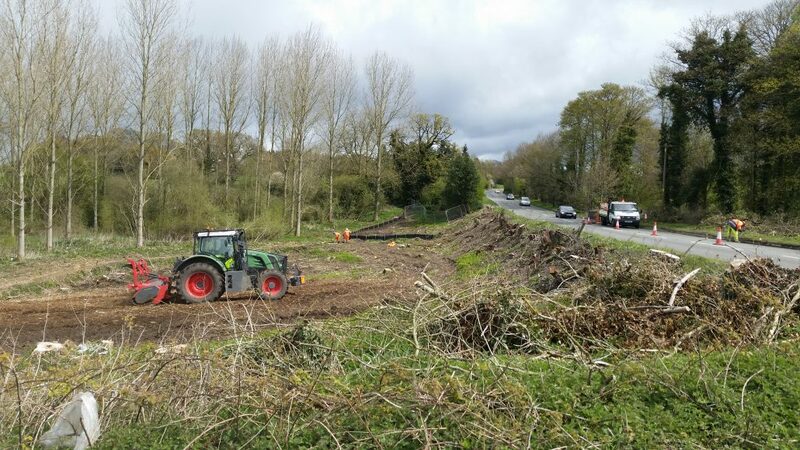 Practicality Brown, using extensive experience and specialist machinery, felled over trees over the 20km length of the land, together with removal of 24km of hedges and over 1000 tonnes of timber. 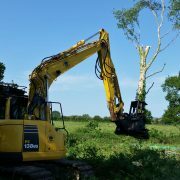 Many trees requiring removal were situated alongside live roads and some required winching back from the road-edge during traffic management hours. 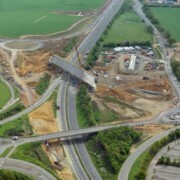 Works included the necessary coordination and mitigation. 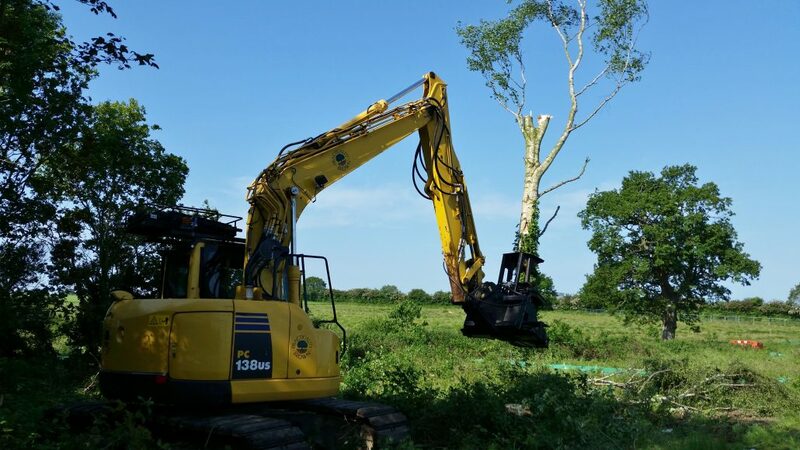 23 live road interfaces and over 40 utility service interfaces were managed; involving establishment of correct procedures and protocols to facilitate tree removal. 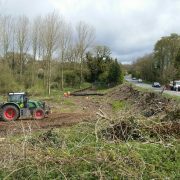 Resultant by-products were marketed locally as sawlog, fencing bars, biofuel and chipwood, with small branches being mulched into the topsoil leaving a tidy surface ready for soil stripping. 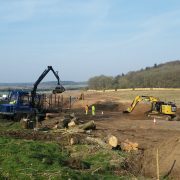 Strong emphasis has been placed on reusing timber locally to ensure the works have a positive environmental impact from usually waste material, saving traditional timber road miles by local marketing.